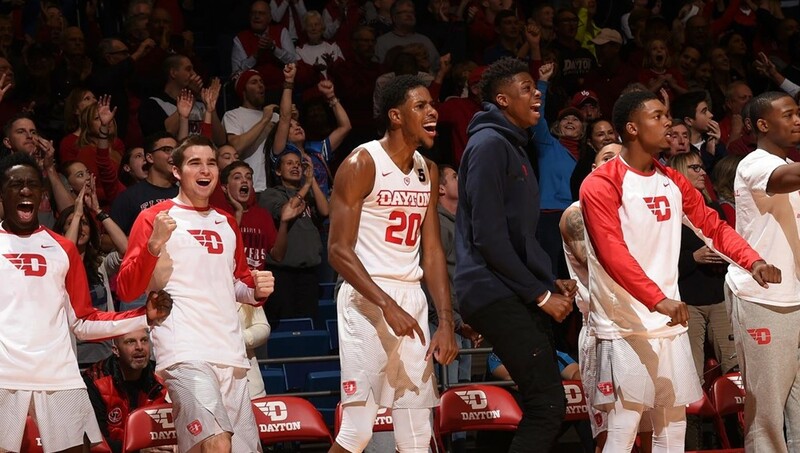 As someone who has followed the Atlantic 10 for many years, it feels odd that at this early stage of the year, most people aren’t including Dayton in their talks of potential NCAA Tournament teams. This is the type of game, however, that has the potential to change that. A win over a SEC school like Auburn would go a long ways towards at least getting the Flyers’ name in the mix. Auburn enters today sitting at 4-1, with its lone loss coming at the hands of Temple. Dayton, on the other hand, enters today with a modest 3-2 record, falling previously to Hofstra and Old Dominion in the Charleston Classic. Following this game tonight, Dayton will get a shot at both Mississippi State and Saint Mary’s, two high-quality opponents. Look, let’s not get ahead of ourselves here. I get Dayton’s two loses don’t look great, but over the course of the next couple of games, they have the chance to try to undo some of the damage done by picking up some quality wins, and that begins tonight. I look for UD to come out hungry and ready to play, and wouldn’t be surprised to see them walk away with a hard-fought win. Following two disappointing loses in Cancun to Louisiana Tech and Fresno State, George Mason will look to get back on track with a win at former CAA-rival JMU. The Dukes come in a 2-5, with several close loses to tough mid-major schools like Northern Kentucky and Weber State. The Dukes most recently took down Appalachian State in 2OT, whom A-10 fans will remember for taking down Davidson last weekend. This will undoubtedly be a tough outing for the Patriots, but I believe Mason will be able to steal a win tonight. I hate to be the bearer of bad news, but to me, this has trap game written all over it for Saint Joseph’s. Don’t let the Bison’s 3-4 record deceive you: this is a GOOD team. Last year in the NCAA Tournament, Bucknell came up just six points short of a first round win over West Virginia and are once again Patriot League favorites. All four of their loses came in their opening four games, which were all against high-quality opponents, which includes just an 11 point loss at North Carolina and just a two-point loss at Maryland. This is a game that would be very easy for the Hawks to overlook, especially with a home game against #4 Villanova awaits on Saturday. This game has a very similar feel to the SJU-Bucknell game, except let’s be honest, Richmond has struggled far more than Saint Joseph’s has this season. This a Vermont team that comes in at 5-1, with their sole loss coming at Kentucky by just four points. Since that loss on opening night, the Catamounts have recorded wins over Northern Kentucky and Yale. I’m going to be brutally honest: I just don’t see a scenario in which Richmond wins this game. Sorry guys, it’s just gonna be that kind of year. UMass has been very hot-and-cold this season to say the least. I think that is perfectly exemplified by their recent game against Minnesota where the Minutemen held a 10 point lead at the half before letting it completely slip away. Despite the fact the Quinnipiac’s 1-5 record may be slightly misleading given their tough early schedule, I think UMass’ size will lend itself to a lot of points in the paint and ultimately a win. You gotta believe this will be a hungry team after their last two tough loses. After a bit of a rocky start to the season, the Bonnies are finally starting to hit their stride, and have emerged as a strong contender for the second A-10 team to be in the running for a NCAA Tournament bid. That said, this is a game that St. Bonaventure really does not want to lose in order to avoid what happened a few years ago…sorry, too soon. To be perfectly honest, I have no idea what to make of Fordham this year. At times, they’ve shown the ability to hang with some good teams, and even have a couple of decent wins. And then they have some pretty baffling loses as well like to Miami (OH). KenPom actually predicts ETSU will win this game 65-64, and gives Fordham just a 47% chance to win, despite playing at home. I really wanna give the Rams the benefit of the doubt here, but I honestly don’t know what to make of this game, other than It’s likely to be a very close game. After two tough loses in Vegas over Thanksgiving, the Colonials will look to rebound against a solid Morgan State team. The Bears are 4-2, with their only loses coming at the hands of then #24 West Virginia and Binghamton. Morgan State has recorded wins on the road at USF and Mount Saint Mary’s already this season, so this will be a battle-tested team. GW will look to see a continuation on the momentum generated by sophomore Arnaldo Toro in the game against Kansas State, when the forward recorded 21 points and nine rebounds. This won’t be an easy win for the Colonials, who have already had one embarrassing home loss this season (Rider), but this team is good enough to keep it from happening again.